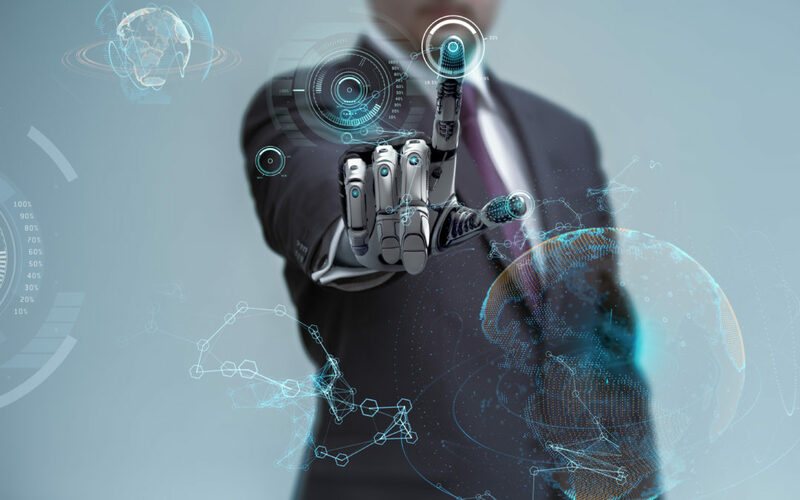 It didn’t take long for the use of Artificial Intelligence in marketing and paid media campaigns to catch on as the new shiny buzzword in the ad tech and mar tech industries. Like many of the trends that consume these industries, most were excited about the potential implications – enhanced personalization at scale, real-time adjustments, smarter media buys etc. – followed by an inevitable shadow of doubt once people began to realize that it was a bit more complicated than they first anticipated. Before we dig into why AI actually does deliver on its promise, we first need to take a step back. Artificial Intelligence is not the first thing to complicate digital advertising. Programmatic advertising – the automated buying and selling of digital media – introduced incredible complexities. Even though it is predicted that 82.5% of all US digital display ads will be bought via automated channels in 2018, 10 years after it emerged, many people in the industry are still trying to get a solid grasp on it. Nevermind regular consumers. So it makes sense that when another extremely complex technology, Artificial Intelligence, emerged as the next game-changer in digital advertising, many were excited at its promise, but confused at how it will actually work and then eventually skeptical if it works at all. For the skeptics, I am not going to explain how it is already being leveraged every day (more on that here), but why it really will deliver on its promise of optimization. Content on demand has instilled a need for instant gratification in consumers. Brands want customers to feel like they understand them and what content they require in any given moment. The best way to create this feeling is to tell personalized stories and create tailored experiences for individuals. but using data to tell that personalized story. Before the concept of “real-time” became part of every marketer’s plan, personalization was achieved through batch processing. Data scientists would analyze weeks or months worth of consumer behavior data, derive relevant insights and then activate paid media and marketing campaigns some time later. However, as discussed earlier, consumers have high standards for the content they consume and for the experiences that brands provide them, so data that is weeks or months old, more often than not won’t lead to an optimized experience. So while there is an element of “learning” that occurred here, it was nowhere near as efficient, effective or impactful as identifying even deeper insights and then using them for real-time media buying decisions. As human beings, our brains are perhaps the most obvious example of Artificial Intelligence in action. As we go through life, meet more people and experience new things, we are constantly learning and becoming smarter, retaining knowledge that will help us make more insightful decisions in the future. Now think about this same process, but apply it to the computer that is processing billions of data points per second and automating media campaigns. Consumer actions are expressions of their wants and needs. Might seem insignificant, but every single action taken by a consumer is remembered and made actionable for future decisions. AI promises to deliver this personalization, but in real time and with much more relevant data. While learning and improving over time. All knowing, all seeing and always improving. AI-driving exponential value out of data, ad tech and mar technology. Extracting insights in real time and delivering personalized messages in real time. Personalized marketing messages at scale is the glaring opportunity that harnessing Artificial Intelligence offers brands: through real time adjustment and learning, personalized customization can happen in real time. But there are a lot of other benefits. The first is greater ROI: marketers can truly make the most out of every dollar by making decisions based on data from the decision before, thus maximizing marketing budget and performance. The second is innovation. Marketers can optimize media in new ways by taking unstructured, unused data and making them relevant to paid media campaigns. The third is ad tech: AI can optimize data within and across paid media channels in real-time, driving a seamless consumer experience. AI joins programmatic, mar tech, and ad tech efforts into a unified approach that maximizes data and assets to offer a smoother consumer experience and greater ROI. While skepticism still exists, advertisers, marketers, and brands should learn quickly the power of Artificial Intelligence and harness its capabilities, or risk lagging behind.